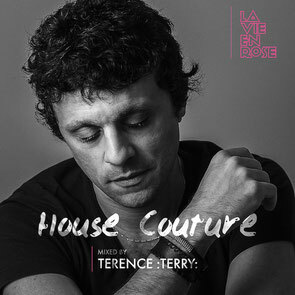 Terence:Terry: recently unveiled the debut mix compilation on the La Vie En Rose label, titled ‘House Couture’, a nod to his hand in the world of fashion. Over the past three years, Terence:Terry: has established La Vie En Rose as a contemporary underground label from Paris. 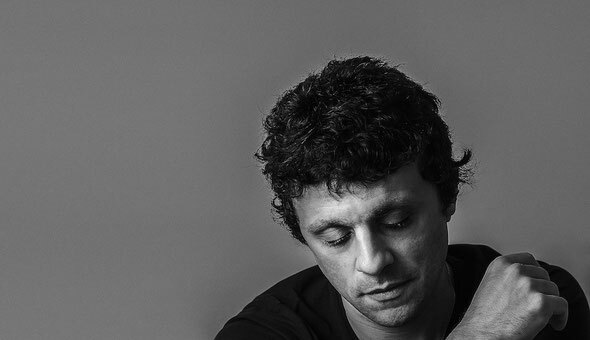 Conceived as a platform to expose the talents of a string of younger artists – many of whom had been following his own career – Terence has curated music that draws from the past, with key releases including Dyed Soundorom’s remix of ‘Sunday Gathering’, John Dimas’ epic ‘Living Lies’ LP, ‘Cornelius is Gaye’ from Terence and Hanfry Martinez, and Carlos Sanchez’s killer ‘Timeless’ including a remix from US artist Jovonn. Now epitomising the mood and influences of La Vie En Rose in a compilation, ‘House Couture’ unites a myriad of artists and labels, as well as never-heard-before future LVR releases; Acid Mondays deliver inter-dimensional vibes on ‘Galado’, Montreal rudeboys Jay London & Pinjyman get sombre with ‘Bugged Out’ and Spaniard Carlos Sanchez uses old school percussion on ‘Touch Wood’. Other highlights include the deep, cosmic grooves of Terrence Dixon’s remix of ‘Shakea Body’ by Trus’Me, the heavenly vocals and delicate keys on Ark & Pit Spector’s ‘Wrong Way’ and Mickey Oliver’s ‘Anticipate’. Not to mention Dana Ruh’s moody ‘Blue Moon’ which injects a sombre tone early on and The Mole’s MMD mix of Garry Todd’s ’24 Hour Party Sausage’ brings a jazzy vibe to proceedings. The mix also alludes to Terry’s French heritage, as well as another important side of his life albeit lesser known. Splitting his time between music and ATAgency, a fashion communications start-up he runs with his girlfriend out of Madrid, the compilation embodies the two things he holds most close to his heart. A key protagonist of the late-90s underground scene in Paris, Terence:Terry: has a deep connection with club music and a history that speaks for itself. One of the key components in the infamous Freak n’Chic label in the early 2000s, he has maintained a consistent presence within the world of house music.